As a widow and single mother of four, she worked tirelessly to found and develop The King Center as a citadel for world peace, lobbied for fifteen years for the US national holiday in honor of her husband, championed for women's, workers’ and gay rights and was a powerful international voice for nonviolence, freedom and human dignity. 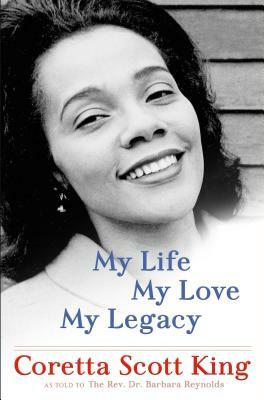 Coretta Scott King was an American civil rights activist, international human rights champion and author, the wife of Martin Luther King Jr., and the mother of four. Born in 1927 in Heiberger, Alabama, she died in 2006 in Rosarito Beach, Mexico.